Bella and Owen were together for six years, until Owen upped and left for a new job in the USA, leaving Bella behind nursing a broken heart. Five years later Bella hears the news that Owen is returning back to the UK, and to Saffron Sweeting, her home town. She is still madly in love with him and will do anything to win his heart back. Including, new clothes, dramatic haircut, and trying to get herself a new body. After five years will Owen still be the same person she initially fell in love with, and deep down does Bella really want him back? 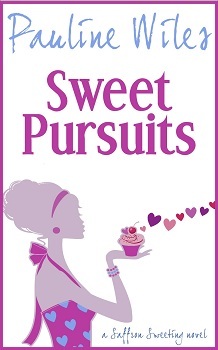 Sweet Pursuits is an adorable, chick-lit book. It has superb characters, that are exceptionally realistic, and you can visualise the plot playing out in real life. There is lots of humour throughout. My best scene came via the protagonist Bella and her attempt at Cross-fit, including daisy knickers mishap, and John Wayne legs! Although Bella is the main character, there is an abundance of secondary characters, all without whom the book wouldn’t of been anywhere near as funny. There is also some eye candy via the likes of Leo and Tom. 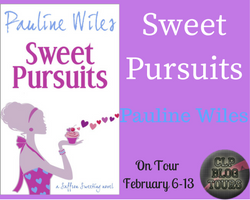 If you are after a light-hearted book, that has an amazing storyline, one that will entirely immerse you into the lives of the characters, as well as gives you lots of giggles, then this book is for you. When not writing, Pauline can be found pursuing The Serenity Project, her year-long attempt to slow down and appreciate life. She also likes to ponder how many miles she has to run to justify an extra piece of cake, and is fond of daydreaming about flying herself and a reader to London for afternoon tea. Thanks so much for reviewing, and I’m glad you liked it. The Cross-fit scene drew heavily on my personal experience so I’m thrilled that episode hit the mark with you!